Every once in a while, I get a little selfish and decide to make something just for me. I don’t worry about allergies, the visually turned off because it looks a little weird, a sensitive palette, finicky eaters, or heavy handed salt pourers. It is all about me, for me, and I make enough to share just in case others want to indulge along with me. I used to subscribe to REAL SIMPLE Magazine because it made me feel pretty (“I feel pretty, oh so pretty…”) and I love, love, love the recipes. In fact, most of our Thanksgiving and Christmas dishes come from a 2008 issue that I’ve held onto. The reason I stopped subscribing was because there just wasn’t enough time to read through each issue. I often found myself behind up to two and sometimes three months on my reading. Don’t tell my Dad, but I’m already about three issues behind in the reading of my Prevention magazine subscription which he gifted to me. Where does the time go? I treated myself to an issue of REAL SIMPLE, some time ago, and immediately flipped to the back where I found this recipe. I love most anything pasta, most anything bread, almost everything cake. I can only imagine what size of a person I would be if I also ate meat on top of all of that. Pasta dishes really do me in and I had been going through withdrawals from really good pasta, Alfredo sauce, anything Italian like. As far as this recipe is concerned, all I can say is that the picture made me do it. The recipe was also too simple not to make. I could satisfy my fix in a matter of minutes. This was going to be my lunch, but as with any unpredictable day in our house, it ended up being dinner for everyone and I did not care who didn’t like it. That is what was being served and I was going to enjoy it. This recipe calls for linguine. That is not spaghetti noodles. That is not angel hair pasta and that is not egg noodles. Linguine; plain and simple. Did I get you scared? Hey, you can use any type of pasta. I just prefer linguine for this recipe. 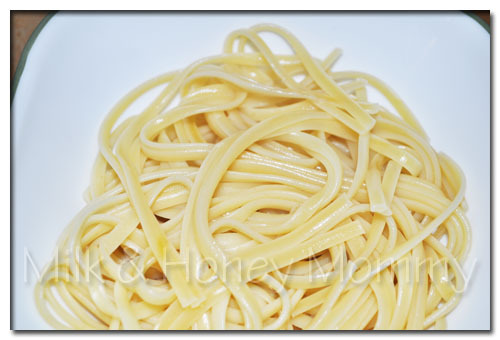 I usually cook using angel hair pasta whenever pasta is an ingredient in a recipe. That is only for my Italian dishes. I even use it when I serve spaghetti. What type of noodles do you like to use? I cook my pasta (all pastas) for six (6) minutes and don’t add oil. I’m a little daredevil and I don’t have much of a problem with sticky pasta after cooking. There is something about oiled down noodles that doesn’t mix well with me. 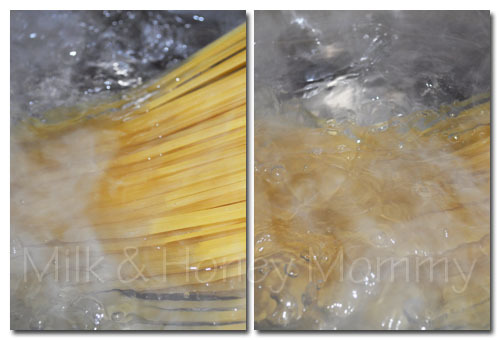 Before draining the water, save about 1/2 cup of pasta water and set the pasta and the reserved water, separately, to the side. 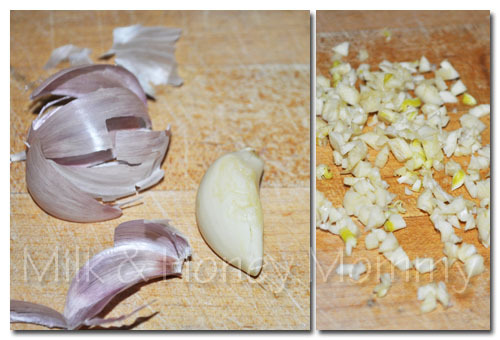 Whack the garlic, cut somewhat fine, and set aside. 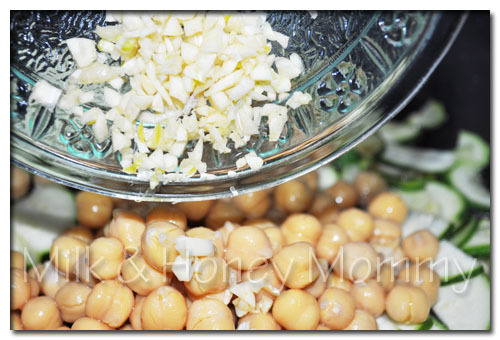 If you are using dry chickpeas, then prepare according to the package. If using canned beans, then drain, rinse, and set aside. 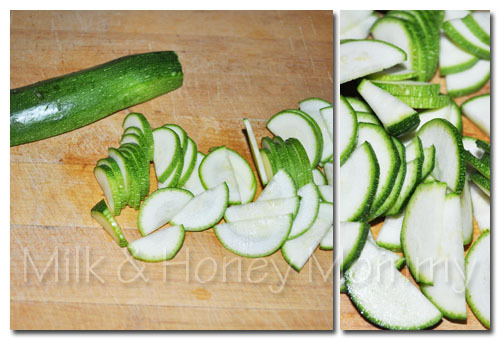 Cut the ends off of the zucchini and cut in half. You want to cut them into a half-moon shape. When I was younger, I only liked zucchini and couldn’t stand yellow squash. It made me gag. I use to wonder what fate that would hand me when I got older. There were so many people around me who liked yellow squash that I felt odd for not liking it. I felt the same about the peanut butter and celery combination, and also trail mix. Fortunately, I grew out of my most of my dislike. Although I never acquired a taste for trail mix (I’m still trying), I eventually grew to love yellow squash and peanut butter on celery is a delightful snack every once in a while. 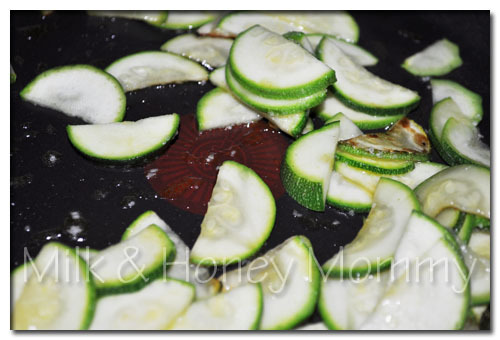 Of course, I still love zucchini, which should be added to your heated skillet. I now use four (4) regular sized zucchini when I make this dish*. Saute the zucchini for about four (4) minutes. 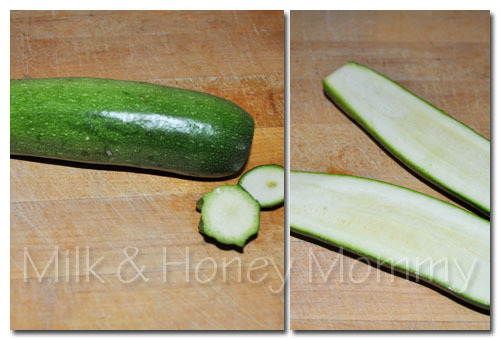 You want the zucchini to be slightly tender, but not cooked too hard. and then add the garlic. It was about right now that my mouth started watering. I knew this was going to be good. Add the crushed pepper. Now, when I make this, I have to leave out the crushed pepper because of my sensitive little people. It is just too hot for them. Despite this, I really do suggest you make this at least one time with the crushed pepper. It sure is good. 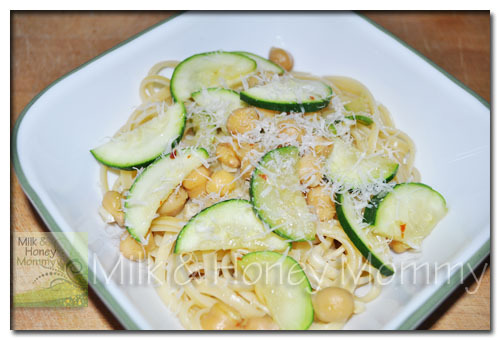 Cook the zucchini, chickpeas, garlic, and red pepper for about three (3) minutes. Pour the reserved pasta water over the linguine and stir. This helps loosen any sticky noodles if any. Divide the pasta up into the serving bowls or on plates. 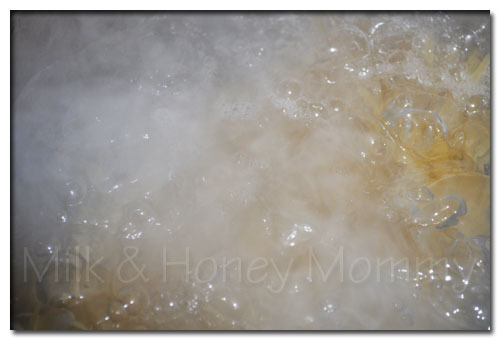 If you forget, as I have done every single solid time, to save the pasta water, tap/filtered will do just fine. If using dry beans, then soak them overnight in cold water. 1. 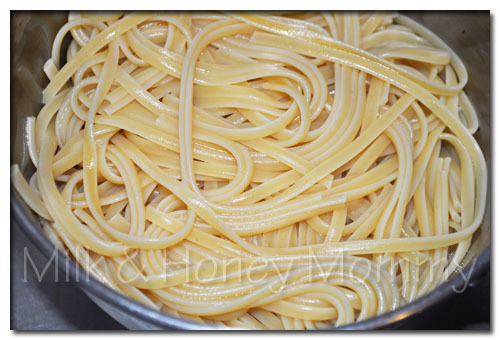 Boil linguine for six (6) minutes. 2. Save about 1/2 cup of pasta water in a separate bowl and set aside. 4. Minced garlic and set aside. 5. If using dry beans, then soak according to package. 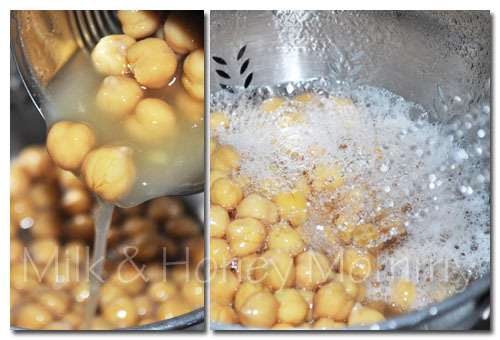 If using canned beans, then drain beans, rinse, and set aside. 6. 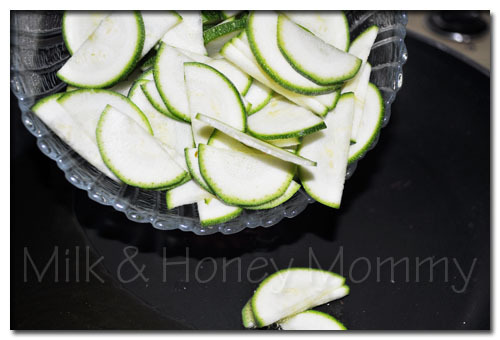 Chop zucchini, thinly, into small chunks or half-moon shapes. 7. 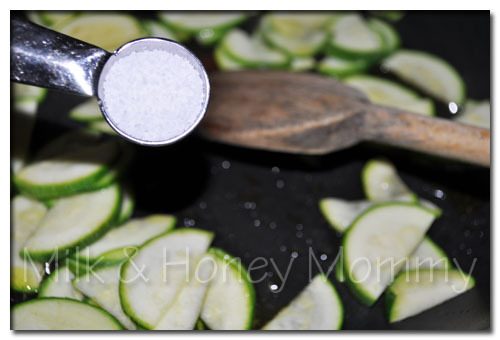 Cook zucchini and kosher salt in skillet for about four (4) minutes. 8. 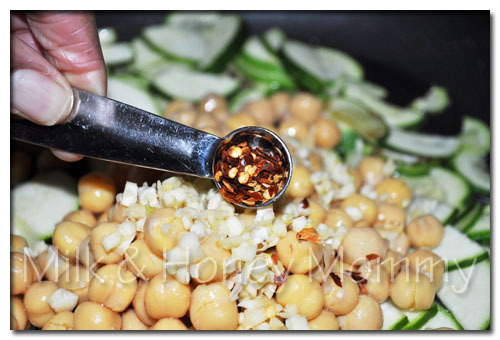 Add the chickpeas, garlic, and red pepper to zucchini and cook for another three (3) minutes. 9. Top the linguine with Parmesan cheese and the zucchini mixture. 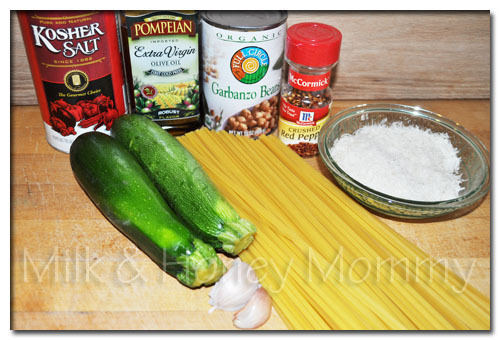 Top the linguine with and little bit of Parmesan cheese, then the zucchini mixture, and follow with more Parmesan. I add a lot of Parmesan because it really enhances the dish. 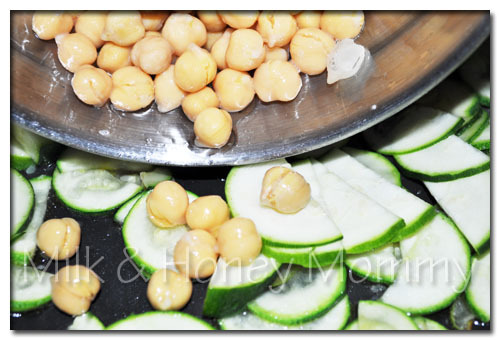 The zucchini and chickpeas, only, make a nice side dish for a meal. It is also great as a stand alone for lunch or a light snack. 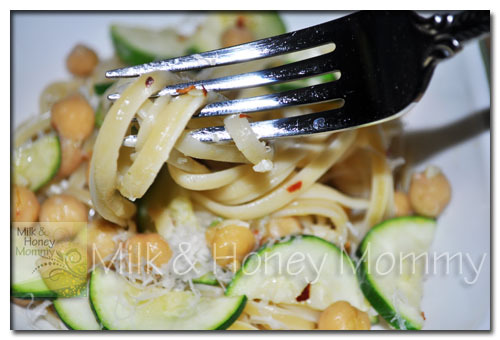 *If you want more mixture to pour over your pasta, then use a few more zucchini because it went fast and we were left with more noodles and no more zucchini and chickpeas mixture.